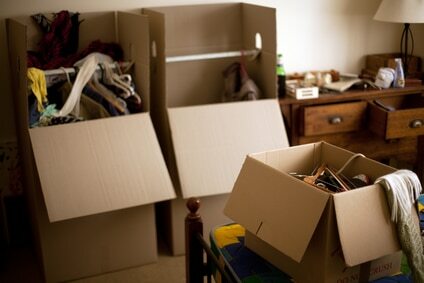 It is quite common for many to require a storage service to keep your belongings safe and sound prior to moving out. For example, you might need to vacate your house but not ready yet to move into a new one. Unless you want to be an unpopular friend who stashes stuff in your reluctant friend’s house, let us find you a safe storage place for your valued assets and belongings. Call Perth Removalists (WA) today to start organising your storage needs. Stop thinking and let us solve your problem! We are expert removalists that can also find a storage facility for storing your belongings for how long you want. Perhaps overnight or maybe as long as a couple of months, it’s all up to you. Give us a call and we’ll organise you a storage space. So you can stop worrying and start enjoying life! Perth Removalists (WA) has a database of partnered storage facilities that will be able to help you unclutter that house or office! Perhaps you want to check out the facility before committing? That’s all good! You’re more than welcome to come and check out the storage facility prior to committing. Either way, we’ll find you a suitable place to keep your belongings safe and sound. Give us a buzz and let’s talk! Too easy lemon squeezy!